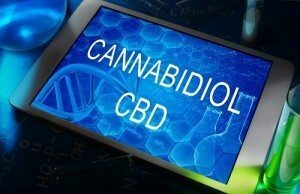 Don’t fall for the misinformed articles or baseless claims, learn about CBD right now and help invalidate the cloud of misguided knowledge regarding this substance. We believe in giving customers not only quality products, but quality knowledge to go along with them. Informed clients are always the happiest! Cannabidiol, otherwise more commonly known as CBD, is a chemical compound extracted from the leaves and stalks of hemp plants. Heralded for its ability to dull pain related to inflammation, anxiety, or bodily aches, CBD, and its related cousin hemp oil, are both non-psychoactive substances that are often found in dietary supplements, beauty lines, and other mainstream products. Unfortunately, because of archaic DEA regulations and its loose association with the similar-looking cannabis plant, CBD is seldom understood fully, and is typically steamrolled into the conglomeration of other illegal drugs. This couldn’t be more incorrect! How Does CBD Actually Help People? Legal in all states since 2012, CBD benefits are slowly, but surely, being better recognized, legitimized, and implemented in the field of pain reduction. Since the compound has not been FDA approved as a suitable disease treatment method, it’s difficult to assert medical claims. However, there are many properties found within CBD, such as neuroprotective agents, anti-tumoral traits, and antioxidative powers, that commonly fight against symptoms of general body pains, anxiety, and inflammation. Raw hemp oil refers to the extracted oil compound CBD, before the substance undergoes our decarboxylation process. Essentially, the raw form of hemp oil, better known as CBDa, is the precursor acid grown within hemp plants that is fully “activated” into CBD during later stages. During decarboxylation, cannabidiol is heated, aged, and cured as a way to alter the structural integrity of the CBD molecule in a way that will release the compound’s health benefits. We understand that CBD is an extremely complicated industry. Since its relatively young in this country, market and product unknowns are still rampant, resulting in the spread of inaccurate information and faulty business practices. Industry jargon like CBD, terpenes, oil, and hemp can deter potential customers. At My Health Etc, we strive to provide quality CBD products for a wide range of applications, with the correct knowledge on how to use them and how they affect your body. Head over to our products page now, and start browsing for your perfect oil today! uses our suppositories, and may just take one before bed and finds the 50mg evening dose means he doesn't need to use any drops during the day.